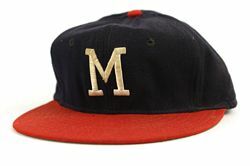 In 1953 the Boston Braves relocated to Milwaukee where they played until moving to Atlanta after the 1965 season. 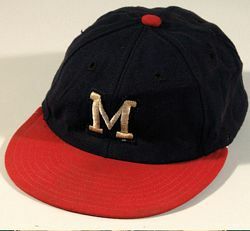 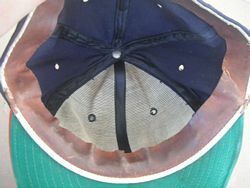 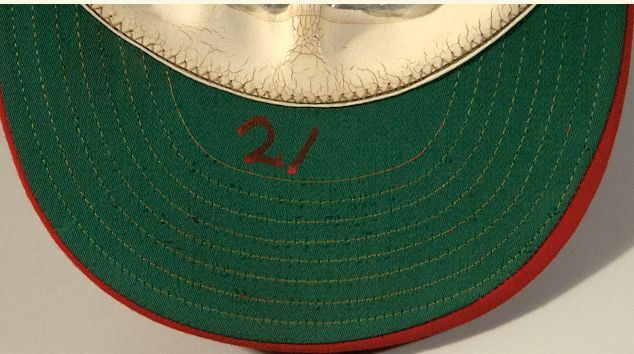 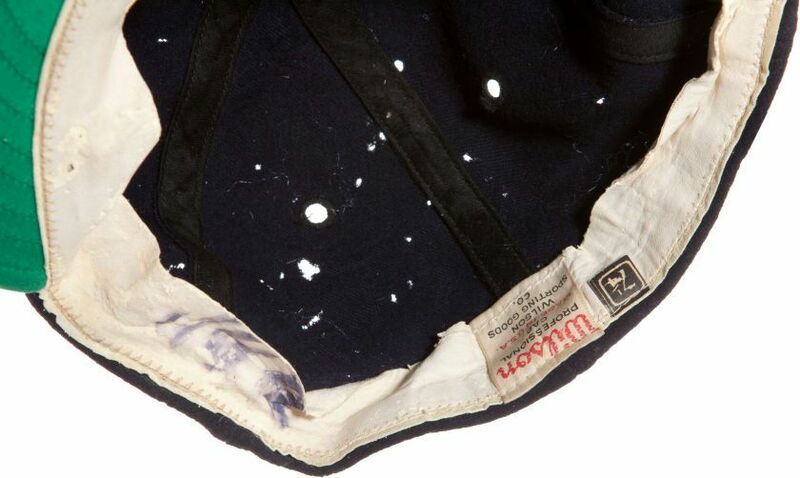 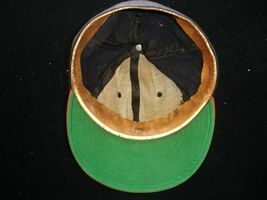 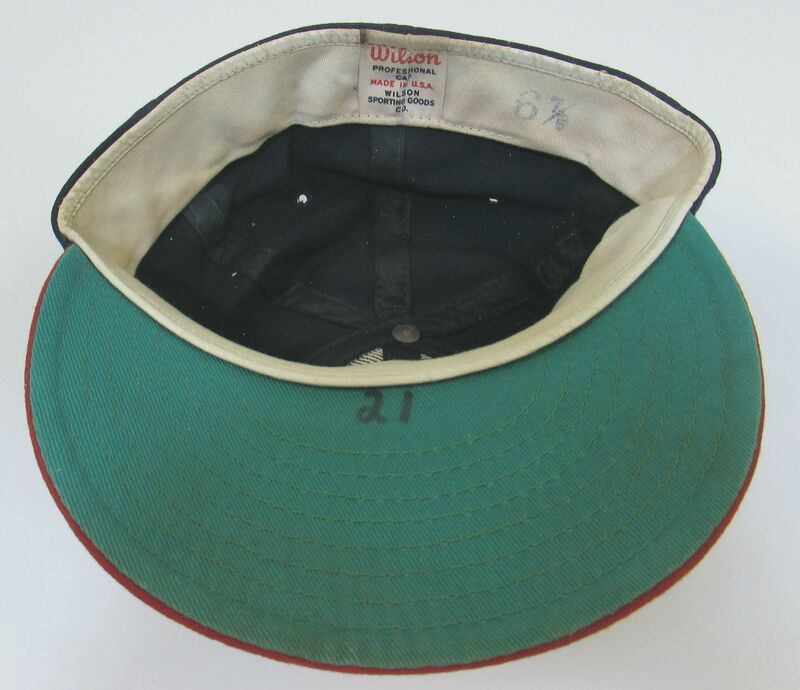 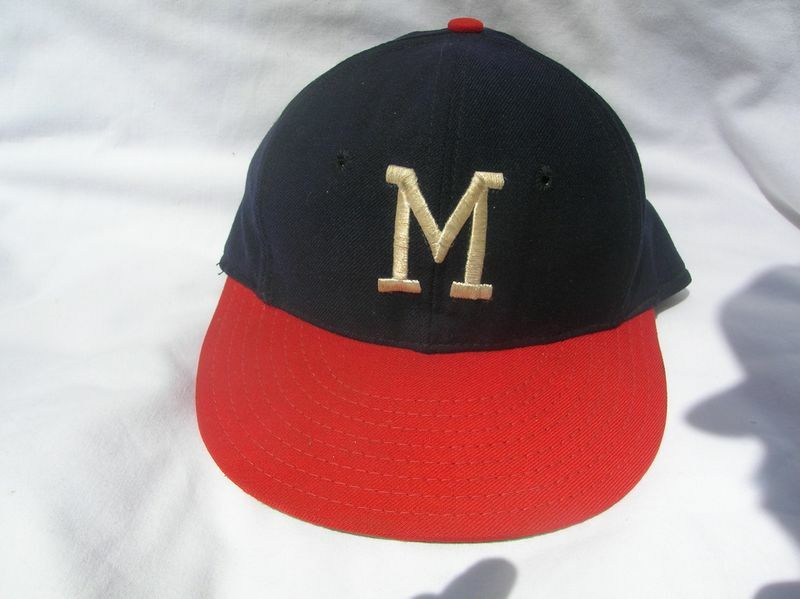 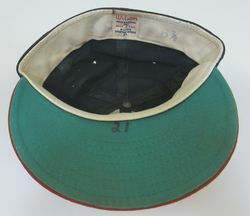 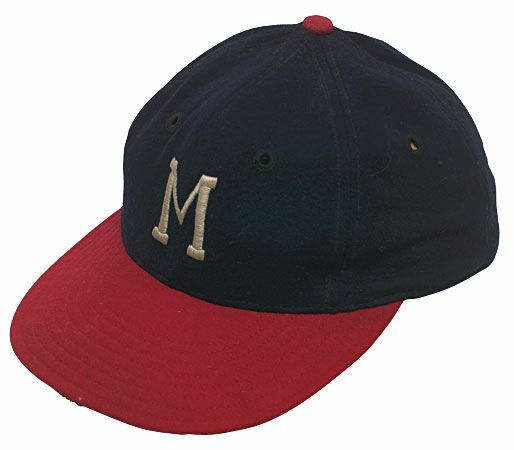 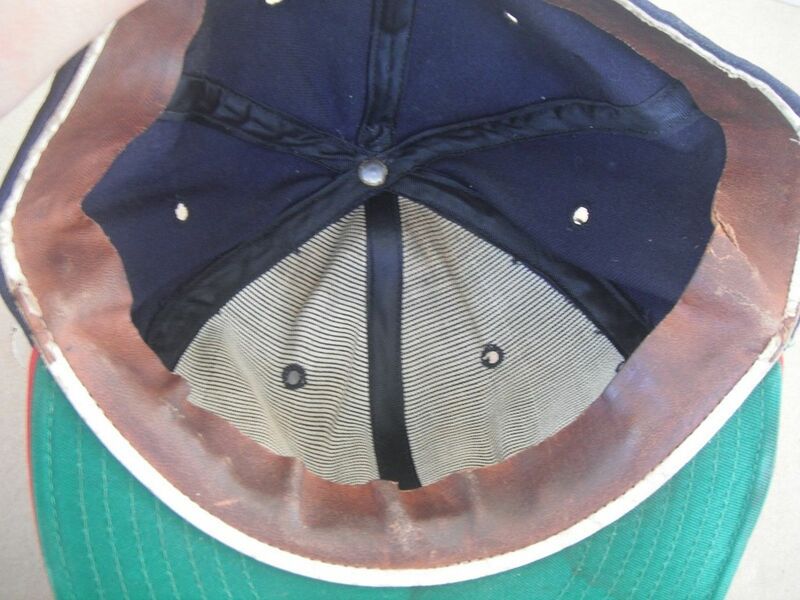 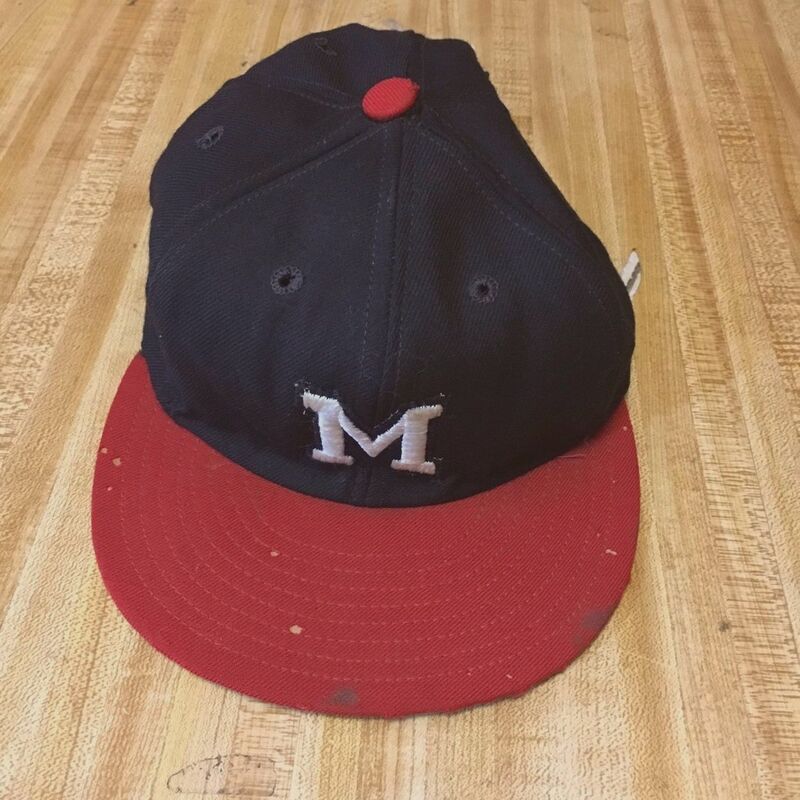 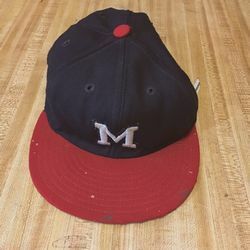 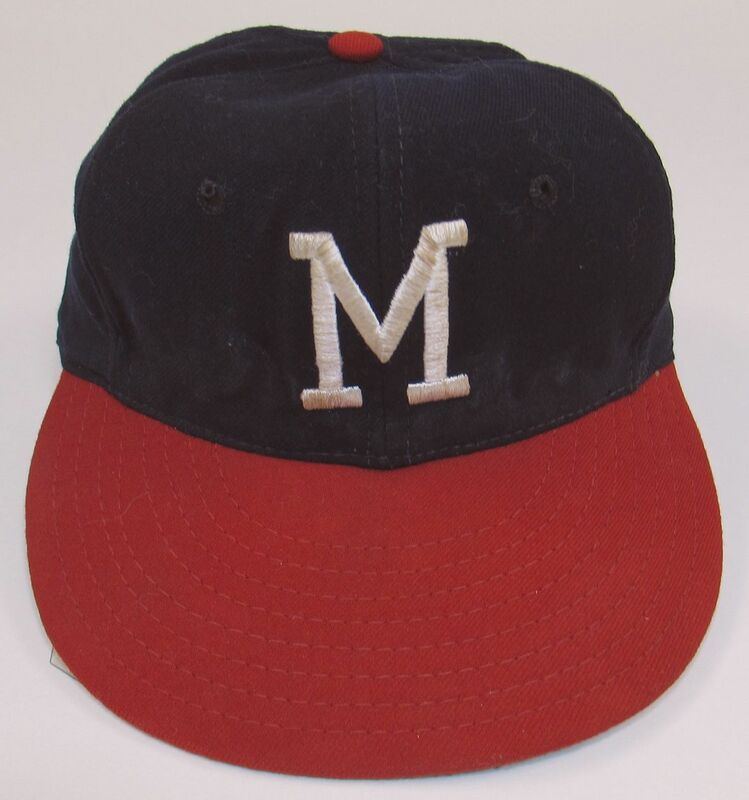 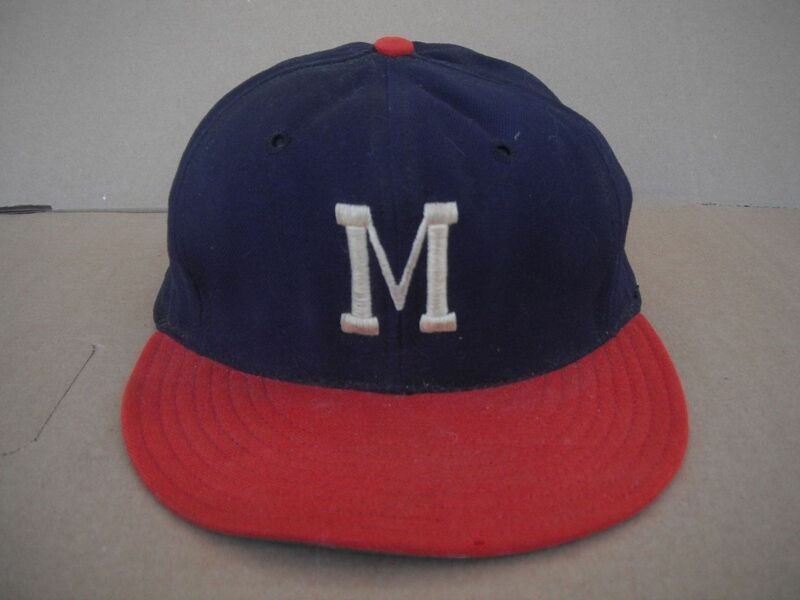 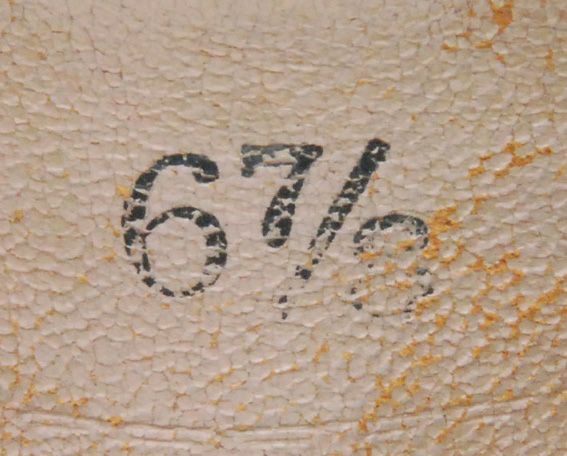 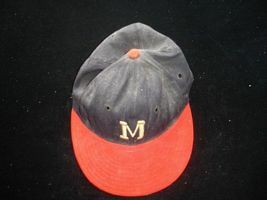 The team carried over the 1952 Boston caps but put an M on the cap in place of the B. 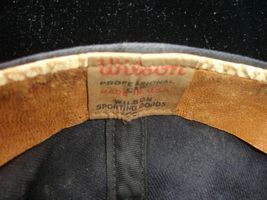 ...or a logo on a patch sewn to the cap. 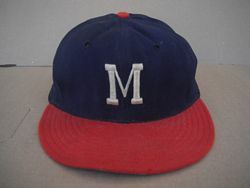 (this one could be a spring training version). 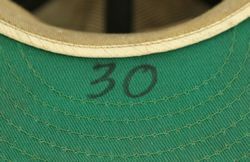 Eventually logos were embroidered. The inner lines of the "M" were quite thin. 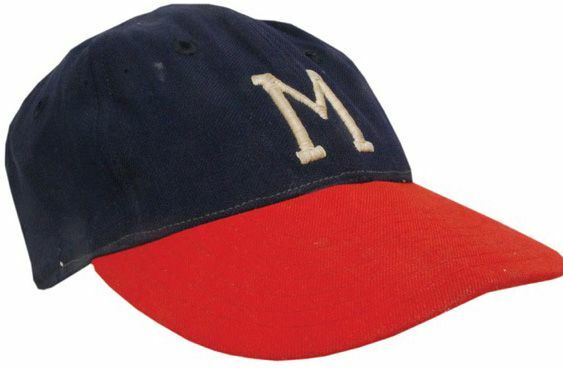 Around 1959 the inner lines of the "M" thicken. 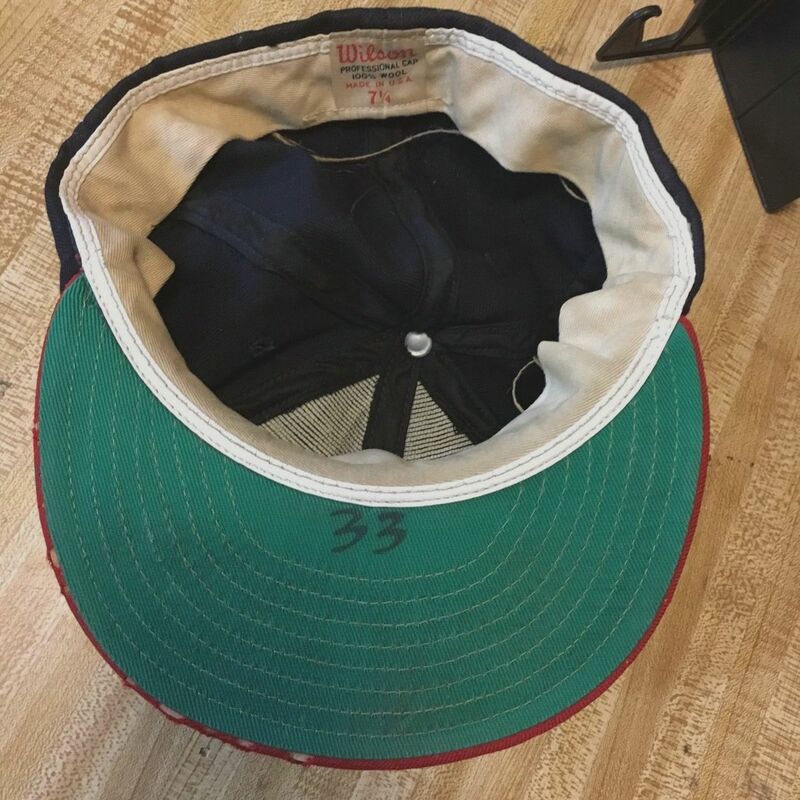 I've seen a few of these sell for big bucks on eBay as original caps. 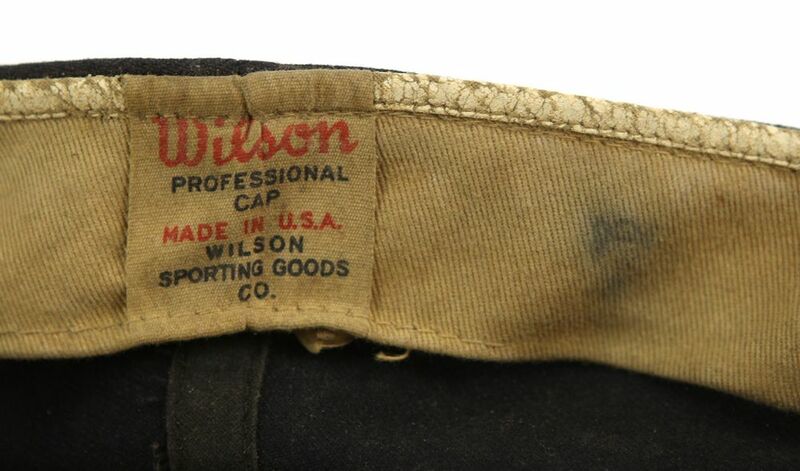 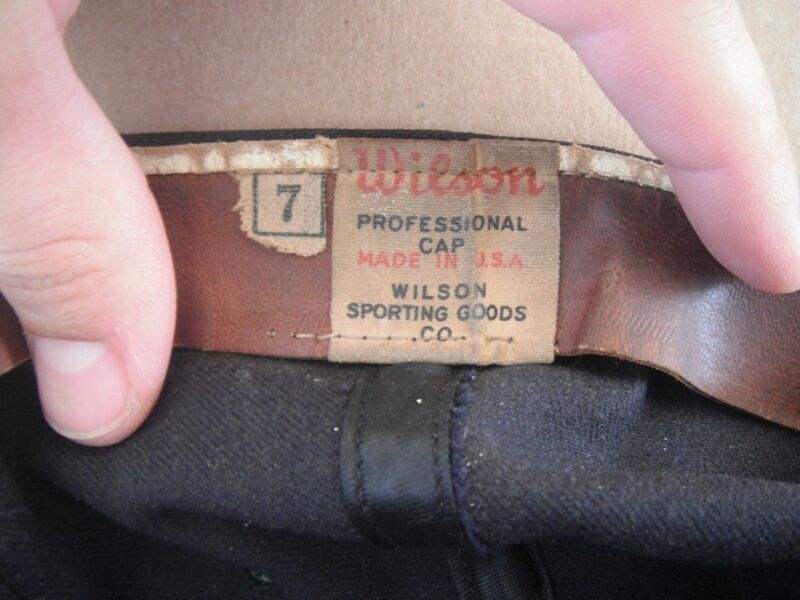 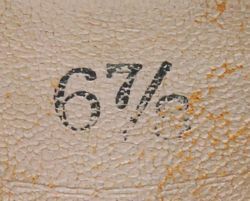 I hate to spoil the party, but this style Wilson tag (with the size on the bottom of the tag itself, and not stamped on the sweatband or on a separate size tag) first appeared around 1973-74. To verify this, just look at teams that changed styles in the 1970's and used Wilson caps, like the Phillies, Reds and, yes, the Atlanta Braves. 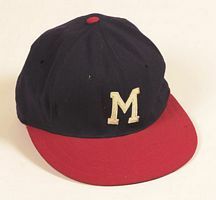 Also, the logo is on a patch which the team only wore in the early 50's. And to top it off, I had one myself from the Johnny Pesky Collection. 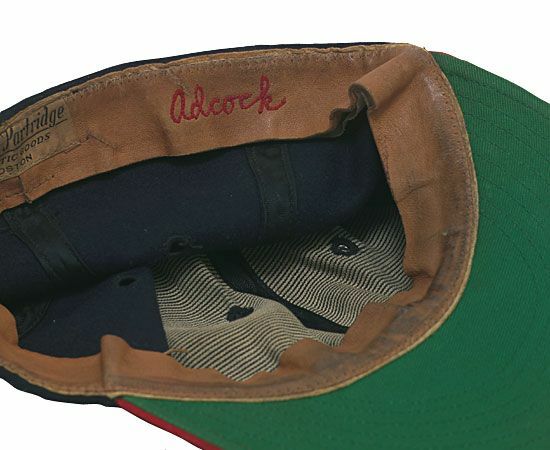 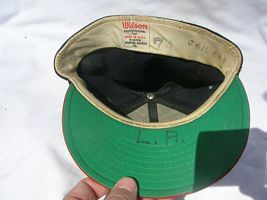 It's a 1975 replica cap from and Old Timer's event celebrating the team's 10th year in Atlanta.